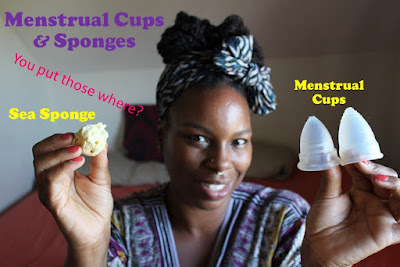 A 20 minute video below, but it covers 2 types of menstrual cups and sea sponges! Times are below, if you would like to skip to a particular topic. It's so important for women to share with other women, our daughters, sisters and friends about these types of topics. I hope this helps someone starting out and if you have been using cups and/or sponges and have some tips or your experience to share, please do so below! Sea Sponges: Plant or Animal? Sea Sponges are technically classified as animals. However, they do not have brains, central nervous, circulatory or digestive systems. In fact, they even survive and reproduce as other plants do. For these reasons, I am okay using sea sponges as a vegan. If this is something that you are not okay with, please do your research and decide for yourself. Be sure to use sea sponges from a reputable source that harvest the sponges sustainably without harming the eco system. Products from the video Diva Cup , Sea Sponges and special thanks to Glad Rags for introducing me to the Moon Cup!